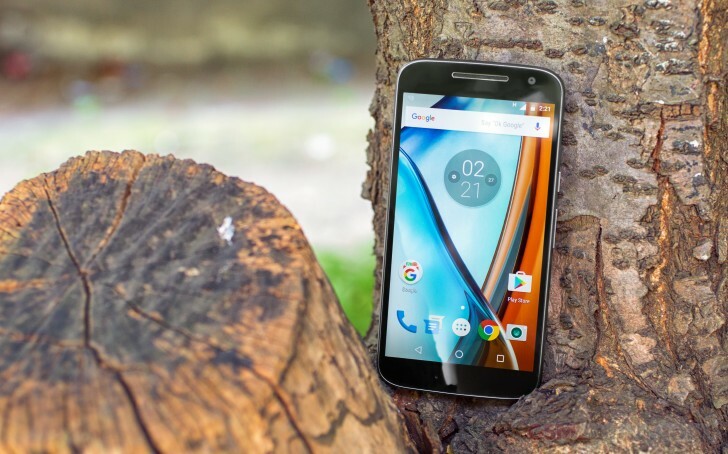 The Moto G4 features a 5.5" IPS display. It has 1080p resolution, marking a jump in sharpness from previous models and the G4 Play used 720p. We found two settings for the Display - Normal and Vibrant - though they aren't very different (a slight gamma correction). The upside is that the screen is unexpectedly good both in terms of contrast and color rendering. It scored an average deltaE of 2.6 and a maximum of just 3.7 in terms of color deviation. Those are better readings than the iPhone 6s Plus, LG G5 and HTC 10 get, not far off from Samsung's best either. We do wish Vibrant mode offered more punchy colors as they default to a somewhat muted look. Colors stay nailed in place even when you view the screen at an angle. There's no visible contrast shift either when looking at an angle either. It's not just the colors, the screen is brighter than LCDs in its price class and thanks to the impressively deep black levels, it offers very impressive contrast ratio. The minimum brightness we got was 21nits, which is too bright if you need to check a late-night email in a dark room. Sunlight legibility is pretty solid - it beats several pricey flagships as well as some of its direct competitors. Still, there are some affordable AMOLED options out there that do better. Using the Moto app, you can configure the Moto Display feature - disable it, block certain apps from pushing notifications to it and disable it at night. The Moto G4 is available as a dual-SIM phone in some regions, single-SIM in others. Both have LTE Cat. 4 connectivity - that's 150Mbps down and 50Mbps up, and it comes in several versions with different band support. Dual-band Wi-Fi a/b/g/n/ac is supported along with Bluetooth 4.2 LE. There's no NFC, however. The microUSB 2.0 port supports OTG so that you can hook up flash drives and other USB accessories to it. It cannot output video, and there's no MHL or SlimPort functionality. The Moto G4 is powered by a 3,000mAh non-removable battery. The phone supports TurboPower, the Moto name for Quick Charge. It promises 6 hours of battery life in just 15 minutes of charging. You won't be charging your phone too often, however, as it scored an Endurance rating of 73 hours. The individual readings were strong too. With 20+ hours of talk time, the Moto G4 can outlast flagships like the LG G5 or an Xperia Z5, but lags slightly behind the Redmi Note 3. The Moto gets its revenge in the Web browser test by going an hour longer. The just under 10 hour video playback time is solid in its class.